A few weeks ago, a friend forwarded me an Internet article titled “Best Cities for History Buffs”. St. Louis is included on the list, and at first, I was happy to see this town get some recognition as a place with a rich historical legacy. However, in the days since reading it, I have to admit that a certain theme of the article keeps creeping into the back of my mind. That theme has also kept me mildly annoyed. In the article, the author includes St. Louis as a “smaller” city with “lesser-known, but no less important” historical landmarks. New Orleans, another city with a staggering amount of history, joins us along with Newport, Rhode Island, New Castle, Delaware, and Charlottesville, Virginia. I know Charlottesville has Monticello since I’ve been there. That’s a great historical asset, but it’s going to need some slaughter-filled Civil War battles or something to join the big dogs. It doesn’t, and it must be one of the few cities in Virginia that can’t say it does. New Castle, on other hand, is a thriving metropolis of (wait for it) 5,285 people. It has some significant colonial architecture and it’s where William Penn first stepped on American soil. For those keeping score (like me), I just summed up the history of New Castle in one sentence. Try doing that with St. Louis or New Orleans. I grudgingly accept many people consider St. Louis to be a “smaller” city. It actually isn’t, but that’s difficult to realize because so much of the population has moved beyond the immovable city border set in 1877. 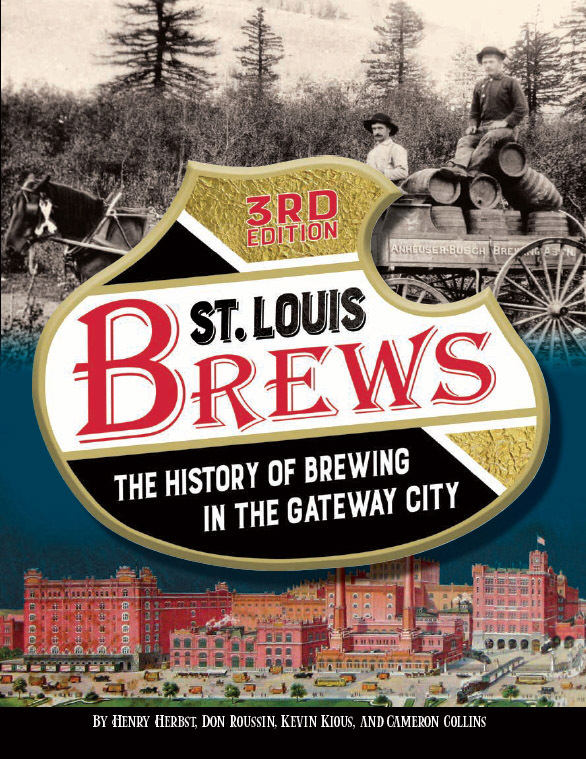 Likewise, much of St. Louis history goes unnoticed, and that is exactly why I write this blog. I’m not even from here, and I can’t get enough of the stories this town has to tell. It’s my belief that St. Louis is easily in the top-ten when it comes to ranking historic American cities. The two most historically significant rivers in North America converge here. In 1250, a Native American city stood nearby that contained more people than London or Paris did at the time. St. Louis was founded by the French, ceded to the Spanish, fought over by the British, and purchased by the Americans. It was once the frontier, and Manifest Destiny unfurled from our front porch. Wedged in the middle of our greatest conflict, it was the largest city in the largest border state during the Civil War. During America’s Gilded Age, only three American cities could claim a larger population. It has been a center of commerce, transportation, industry, education, entertainment, and alcohol (of course, we can’t forget alcohol). The world came here in 1904. Even the race to the suburbs that has depleted the city in the last seventy years is of significant historical record. If St. Louis isn’t among the big cities of American history with that list, here’s one more nugget: Downtown St. Louis was a battlefield during the American Revolution. To me, that battle is a perfect example of how comprehensive and diverse the history of St. Louis is. In 1780, on what is now the corner of Walnut and 4th Streets, St. Louis staged the only battle in the American Revolution fought west of the Mississippi River. Even more interesting is that it wasn’t very “American” at all. The kingdoms of Spain and Great Britain were the belligerents. To mix it up further, the Spanish force consisted mainly of French creoles and slaves. The British force was overwhelmingly Indian, with a sprinkling of Canadian hunters and British regulars thrown in. Remarkably, these two patchwork armies went about trying to kill each other over a small fur-trading village that wouldn’t become part of the United States for another twenty-four years. Now that is what I call good history. “The Battle of Fort San Carlos”, as it would be known, was named after a stone tower that played a key role in the engagement. The tower stood just beyond the current-day location of Busch Stadium’s center field wall. In fact, if Busch Stadium existed in 1780, attending spectators couldn’t ask for better seats from which to watch a war. The key figure in St. Louis leading up to this event was the Spanish governor of Upper Louisiana, a military man named Don Fernando de Leyba. Arriving in St. Louis in 1778, he quickly initiated plans to fortify the village. With France entering the American Revolution on the side of the colonial government in 1788, Leyba knew that Spain would eventually be drawn into the fight. As the center of the profitable Missouri River fur trade, Leyba also knew the British coveted the village located at the confluence of North America’s two greatest rivers. Leyba was right. When Spain finally declared war in 1779, the British plan to control the Mississippi Valley quickly went into action. In a nutshell, the British plan consisted of rolling back American military successes on the east bank of the Mississippi, while taking control of Spanish possessions on the west bank. If successful, the British would establish solid footing in lands west of the Appalachians. A former fur trader and British officer named Emanuel Hesse was placed in charge of the campaign. With few British regulars available outside the eastern theater of war, Hesse enlisted Indian forces from tribes around the Great Lakes that were hostile towards colonial French interests. With promises of weapons, riches, and spoils of war, an army of Sioux, Chippewa, Winnebagoes, Menominees, and other tribes were recruited. In 1780, the British-led force began moving south towards St. Louis. Along the way, 250 additional Sauk and Fox Indians joined the ranks, bringing the total to just over 1,000 fighting men. Informed that St. Louis would get no financial assistance from the colonial Spanish government in New Orleans, Leyba appealed to villagers to help pay for its own defense. To help the cause, Leyba donated more than a third of the necessary funds out of his own pocket. His plan consisted of building four stone towers around the village, starting with one on the vulnerable western side. He also ordered a large trench dug around the perimeter of the entire village. The trench would connect the four towers and provide a strong defensive position from attackers. On April 17, 1780, the first stone in the foundation of the western tower was placed. When completed, the cylindrical fort stood about forty feet tall and thirty feet in diameter. It was named Fort San Carlos after the Spanish King Charles III. But Leyba had underestimated the costs of fortification. Money ran out before the other towers could be built. Instead, felled trees, logs spiked into the ground, and parapets constructed at each end of the trench would have to suffice. Finally, Leyba ordered five cannon placed on top of Fort San Carlos. With rudimentary defenses in place, word soon arrived from that the British force had gathered in the north and were preparing for attack. Despite defenses that fell short of expectations, this was significant. Unbeknownst to the British-led force, Leyba and the villagers fully expected a battle in the coming days. The British and Indian force expected to surprise and overwhelm the small fur-trading village. Hesse was so confident that he even decided to divide his force. A larger force of about 750 was sent across the Mississippi towards St. Louis, while a smaller force of 300 was directed south to attack the American-held outpost at Cahokia. On May 26, 1780, the attacking force approached the village from the north and west. As Indian warriors crept from tree cover, they came upon villagers tending to crops and livestock in the common fields west of the village. One of the first to discover the day of attack had come was Jean Marie Cardinal, a French creole who had recently moved to St. Louis with his family. As Cardinal attempted to flee, an Indian warrior caught and killed him. News of the attack spread, and farmers, field hands, and slaves suddenly rushed towards the village for safety. The Indians gave chase, catching villagers and slaughtering them before the eyes of loved ones who looked on. A few villagers managed to fight back. Pursued by an Indian warrior, a slave suddenly turned and confronted his attacker. The slave wrested a musket from the Indian and killed him with it before crossing to safety. Marie Josepha Rigauche, a school teacher, made several trips beyond the village gates armed with a pistol and knife in order to help people get to safety. The Indians and British must have initially believed the rout was on, but the cannon atop the stone tower exploded with a booming reality check. Suddenly, it was apparent that the village was not only expecting the attack, but prepared for it. In his book, Lion of the Valley: St. Louis, Missouri, 1764-1980, James Primm makes the case that the noise of the cannon was the key factor in the battle. Although far out of range, many Indians stopped in their tracks upon hearing cannon fire. Even the eastern attack on Cahokia lost momentum when the Indians realized the stone tower on the other side of the river had big guns on top of it. Despite their bravery, Indian war tactics did not favor attacking stone forts and entrenched riflemen. The Fox and Sauks, already hesitant about attacking a bordering colonial power, halted after one cannon volley. The few British and Canadians remained far in the rear and did not enter the foray at all. Unsuccessful in drawing the defenders into the open, the Indians shifted their attention. They vented their frustration by killing livestock, burning crops, and destroying outlying buildings. By late afternoon, with Leyba’s defenders staying put behind their defenses, the Indians recognized the futility of the engagement. Disbanding by late afternoon, the attacking forces broke up and headed home. When the dust settled, the village had suffered over 100 casualties, with twenty-one killed. The defeated British reported four Indians killed and four wounded. The number is likely much higher. While the number of casualties may not seem significant, it was a staggering blow to a village with a population of just 700. Strategically, the battle had an enormous impact. The Spanish victory ended any British hope for control of the Mississippi Valley. It also prevented the looting and razing of St. Louis by a foreign army. The villagers, however, did not revel in the result. Along with seeing many of their own slain and captured, the residents of St. Louis had to deal with the significant loss of livestock and crops destroyed by the frustrated retreating army. Despite his efforts to protect St. Louis, the finger of blame for any form of suffering was pointed directly at Fernando de Leyba. Viewed as the lone representative of an indifferent Spanish government based hundreds of miles away, Leyba became a hated man in the village. He died just a month after the battle, and St. Louis did not mourn his passing. In fact, he was referred to as a coward and a traitor. Some even took to calling him the “Spanish Benedict Arnold”. The disinterested Fox and Sauk Indians fared even worse. Just a month after the battle, a Spanish militia from St. Louis joined up with an American force led by George Rogers Clark. In retribution for their role in the attack on St. Louis, the army marched on the Indian village of Saukenuk to the north and burned it to the ground. In the years following the battle, the Spanish improved fortifications around St. Louis and reinforced Fort San Carlos. However, a growing city soon expanded beyond the border it once protected. The stone fort was torn down in 1818. Today, the only physical indication of where the battle was fought is a plaque that was placed near the site where Fort San Carlos once stood. I say “near” because when I went to look for it, I circled around Walnut and 4th for thirty minutes finding no sign of it. Exasperated, I checked the Internet and found out the plaque actually sits one block west at the corner of Walnut and Broadway. The marker stands right outside the entrance of the St. Louis Hilton at the Ballpark. They didn’t know it at the time, but the Sons of the American Revolution actually helped me out a bit when they decided to place it slightly to the west. They gave me a good drink option for this post. At the top of the Hilton is “Three-Sixty”, an open-air rooftop bar on the 27th floor of the hotel. It provides a full view of downtown St. Louis, including a great vantage point of Busch Stadium. It also provides a top-down view of where Fort San Carlos stood 233 years ago. It’s a fun place to get a drink, and I’ve actually had good cocktail experiences there on previous visits. However, this time I had a bad feeling as I approached the bar. My bartender had that “I’m gonna shake your Manhattan and put it on the rocks” look to him. Instead of taking a step back and thinking things through, I panicked. Noticing a printed cocktail menu to my left, I blurted out the first drink on the list. To my own horror, I heard myself muttering the name of a foofy drink named “At the End of the Day”. I can only blame myself, and it was as awful as I expected. I’m not a fan of sweets in general, and this drink tasted like Kool-Aid. With absolutely no kick, it didn’t even taste like spiked Kool-Aid. When I drink alcohol, I want to know it. That first sip of a Manhattan or martini can hit like a train, and it’s fantastic. The abomination I forced on myself this night tasted like it should be served in a sippy-cup. Next time, I’ll roll the dice with a Manhattan. Three-Sixty is a fun place to go, especially on cool nights when the Cardinals are playing. Most people will focus their attention on the little men running around a baseball diamond to the south, but not me. I prefer to turn my gaze west and imagine little men running around and making history. A superb read as always; I’ve become quite a fan of your work and look forward to each entry. My first thought at seeing the diorama: Tiernan Design unwittingly (or perhaps even wittingly?) designed an homage nearly at the foot of the old Fort San Carlos in the Stoufer’s Riverfront Towers. Perhaps the cylindrical/elliptic-cylindrical design of the two towers is merely coincidental; a cursory Google search yields little in the way of the firm’s inspiration for their plans. The shape just struck me as similar. A wonderful site you have here, entertaining and informative– a rare combo indeed. Great Article. Thanks for studying it and writing about it. Previous post Which Louis is Saint Louis?